You can capture an image that makes people hold their breath. But how do you prove that on a sheet of paper full of words? Don’t worry. You’re not blown out yet. With the right skills and achievements, your photography resume can stand out like Lunch Atop a Skyscraper. A photographer resume example better than 9 out of 10 others. How to write a photography resume that gets more interviews. Tips and examples of how to put skills and achievements on a photographer's resume. How to describe your experience on a resume for a photographer to get any gig you want. Here's a freelance photographer resume template made with our online resume builder tool. Sample Photographer Resume - See more templates and create your resume here. What's the Best Format for a Photographer Resume Template? You just got turned down for that juicy gig. The one with the killer subject matter and stratospheric pay. Why? Your poorly-formatted photography resume irked the hiring manager enough to reject Dorothea Lange. 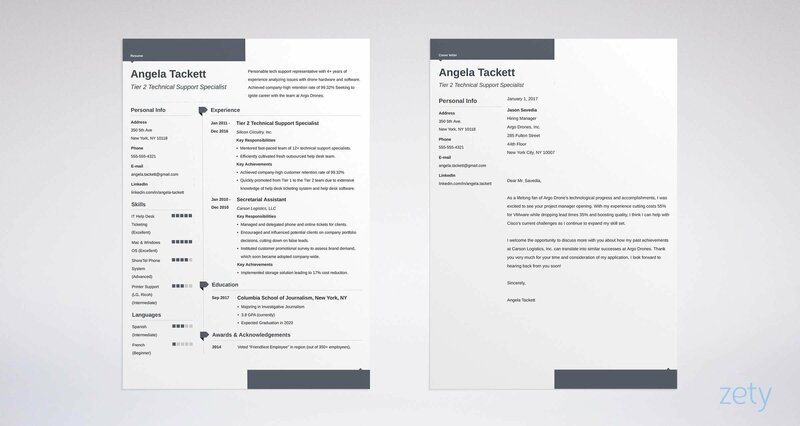 Choose a well-respected resume layout like the reverse-chronological resume format. It puts your best stuff in focus. Use the best resume fonts, plus negative space and clear headings. Then save it as a PDF. A photographer resume PDF keeps its composition no matter what computer it pops up on. Pro Tip: Make sure the offer allows PDFs. Some older Applicant Tracking Systems glitch out on photography resumes in PDF format. Photographer Resume Summary or Resume Objective? Most resumes get six seconds of eye time. Write a resume objective or resume summary. Those are photographer bio examples that grab attention like the golden mean. A resume summary shows experience when you’ve got more than Ansel Adams. A resume objective shows passion when you’re in the Peter Parker zone. Can you spot the ugly in the first of our senior photographers resume samples? Hard-working photographer with 5 years of experience. Handled all photography duties at Mattie Leite Photography, including portraits, sports photography, editorial photography, and real estate photography. Skilled in those areas, as well as digital imaging, Adobe Photoshop, and Lightroom. That's not exactly the Hindenburg disaster, but it won’t saturate you with interviews. Certified Professional Photographer with 5+ years of experience. Seeking to craft memorable images for Home & Away Real Estate. Lead photographer for Big Lake Tours Real Estate Dept. Shot cover photo for Costco Connection magazine. Finalist, Sony World Photography Competition 2017. Snap. Now you’re up with Jay Maisel. The measurable achievements fill the frame. Don’t have that much experience? Juxtapose the two entry-level photography resumes below. If your photographer experience looks a little duckface, don’t worry. You’re about to go from the pits to Annie Leibovitz. Just use a photography resume objective. Passionate photographer with BA in photography, skilled in portrait photography, landscape, and wedding photography. Excited to learn as I go with entry-level photography jobs. Gee-whiz she’s got Moxie. But it won’t get her gigs. Even a photographer's resume with no experience needs—err—experience. Look at the next of our freelance photographer resume samples. CPP Certified freelance photographer, skilled in portrait photography, landscapes, and weddings. Shot and edited two weddings with commendations from both clients and multiple referrals. Accepted to juried exhibition at Historic Pullman Visitor Center. Way to go, Jimmy Olsen! That’ll make the hiring manager drop her copy of The Photographer’s Eye. But hang on. How did a raw photographer get that kind of resume experience? She did it by freelancing, joining a pro association, and entering some contests. But won’t that take a lot of time? No way, Man Ray. Even a photography resume for beginners can have that kind of depth and framing. Pro Tip: A photography bio is like the trailer to your job search movie. Write it last so you’ll have plenty of great clips to choose from. Meet the well-heeled client. Her name’s Katherine. She’s got Pelican Cases full of work and she pays like a sultan. But it’s all in the presentation. If you've got more than Richard Avedon, list your most recent job first. Add 3-5 resume bullets with measurable achievements. The professional photographer’s resume example below isolates the subject. Cover photo, Costco Connection magazine, October 2016. Regular contributor to M Magazine sports desk. Shot and edited 238 portraits with 98% customer satisfaction. Trained and managed a team of 6 freelance photographers. Lead photographer for Big Lake Tours Real Estate Department. The client would have to have clipping on the brain to ignore that. Your high-powered resume for photography jobs just proved you’ve got the skills. Worked as freelance magazine and real estate photographer. Shot and edited client portraits. Trained and managed freelance photographers. Ouch. Who left the lens cap on? But what if you’re writing a photography resume with no experience? These entry-level photographer resume examples can help. You don’t have experience. You’ll never get a job. You’ll end up eating pictures of ham sandwiches. Dig deep for achievements, even you haven’t held a camera jockey job. Adding those to a photographer’s resume for beginners will wow them like a Bill Murray photobomb. But how to list freelance work on a resume? Let the next two entry-level photography resume samples put you in the picture. What’s the difference in these no-experience photographer resume examples? Photography Experience: I haven’t held official photographer assistant jobs or photographer jobs, but I’m a fast learner. Hmm. That applicant probably cuts off more limbs than Dexter. Maybe if you spray and pray that to 1,000 photography assistant jobs, you’ll land one. Accepted to juried exhibition at Historic Pullman Visitor Center. Produced 15 poster-sized prints of local landmarks for area supermarket. Shot two weddings. Received rave reviews and dozens of referrals from both clients. Pop! That stands out like Steve McCurry’s Afghan Girl. Haven’t even got that much? Do a wedding for a friend, or free work for a local biz. Even a small contest or your own portfolio work looks good on a resume for a photographer. The best quality to have on a resume as a photographer is diversity of work. I’ve gotten a lot of jobs with bigger companies because they see variety in my work. Pro Tip: If you’re new, networking and cold calls to studios can build experience fast. Eventually you’ll find a biz that needs you like air. Try rubbing elbows with assistant photographers too. Does your education section really matter on a photographer’s resume? Every resume has to have an education section. If you don’t use it to sell, it’s like owning a 1DX Mark II and only using it for selfies. But add relevant achievements that pop like 1940s flash bulbs. Both these photography resume samples aim for a job that wants portrait and landscape skills. Excelled in portrait photography classes. Senior landscape photo project got 220 Facebook shares. Took 2nd place in school photography contest. That’s not some camera-owning applicant who over-bokehs everything. It’s Sally Mann or Robert Capa in the raw. Aargh—maybe you can fix it in post? Pro Tip: Does GPA go in a photography resume? If it’s really high or recent. Otherwise, put a different impressive achievement in the foreground. Without proof, even Yousuf Karsh couldn’t get in at a Walmart Photo Center. So—how to list photography skills on a resume? Don’t claim you have every skill shown in Complete Digital Photography. Don’t just list your skills. Read the gig or job description. Find out what the hiring manager or client needs. Then fit your bullet points to that like a frame within a frame. These professional photography resume examples should change your point of view. Don't just say you've got ‘em. (1) Managed 35 (2) field shoots. Led a team of 4 photographers. Commended 5x by board of directors for excellent (3) portrait photos. Lowered shoot costs 15% through improved logistics and better vendor relationships. A field photography job opening needs a resume with field photography achievements. Do that, and you’ll feel like Jeff Widener’s Tank Man facing a barrage of interviews. Start with the photography skills resume list below. Need some photography skills for your resume? Don’t stop there! Ask yourself—what are the responsibilities of a photographer? Also check the job description, and other jobs online. If there’s no gig description, ask the hiring manager about her needs. A call or email to a manager or employee can reveal a lot. 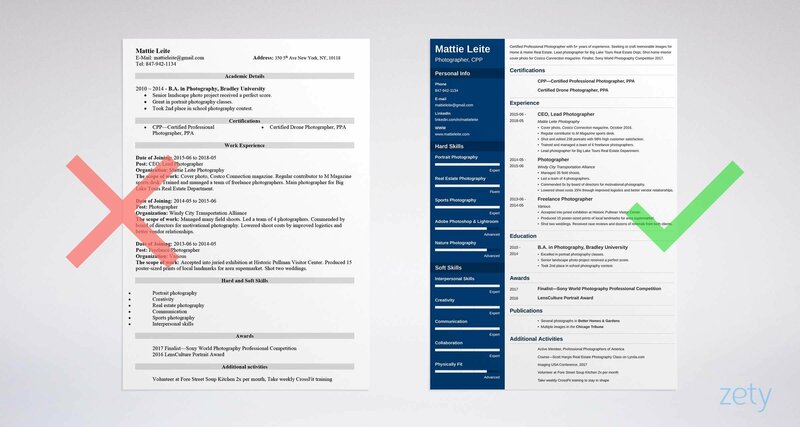 Pro Tip: Can a photographer’s resume ever prove your skills? No. But with the right achievements you’ll convince them enough to get the interview. Will a CPP certification get you hired? You don’t need a cert, but on an entry-level photographer resume, it works like a leading line. So—don’t hide it in the background. Add it to your name in the header. Then put it in your summary. Last, make a special section for it. Do that, and it won’t matter where the hiring manager focuses. She’ll know you know the rule of thirds from diagonals and triangles. 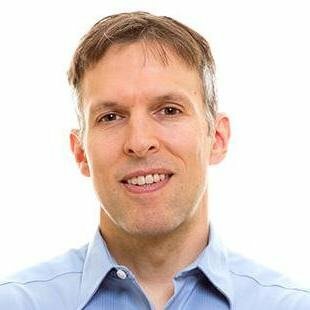 Pro Tip: Don’t have a CPP certification? Don’t panic. Just have a great online portfolio. A few beautiful shots can get you hired. Add a link to it in your professional photography resume. Remember our well-heeled client, Katherine? She’s seen dozens of photographer resumes with great experience and education sections. But she’s only hiring one. Add "other" resume sections to put you in the foreground like the subject in a Yousuf Karsh portrait. And anything else that shows your dedication to the craft. Watch that work in two sample photography resume sections. Slow down, Austin Powers. You need to show you fit the job. Active Member, Professional Photographers of America. Course—Scott Hargis Real Estate Photography Class on Lynda.com. Volunteer at Fore Street Soup Kitchen 2x per month. Take weekly martial arts training to stay fit. Nailed it. Now you’ve got the most textured freelance photographer resume in the stack. Pro Tip: Should you add a resume photograph to a resume for photographers? Not in the U.S. Save self-portraits and headshots for your online portfolio. What About a Photographer Cover Letter? Who says you need to send a cover letter with your photographer resume? Well, 40% of hiring managers, that’s who. But don’t make it generic. That’s like sending them a photo of a sunset. Use the manager or client’s name if you can find it. Then, show you understand their needs, and prove you’ll get the job done. This short example photographer cover letter gets it right. I’ve been interested in Home & Away Real Estate since I heard your director, Bob McIvers, talk about the need for striking visuals on the Hearth Sitters podcast. I believe I’ve got the skills Mr. McIvers referenced. Your goal is to distinguish yourself from thousands of other talented photographers. Describe your technique and let your personality shine through. Describing your technique in writing shows you’re experienced. Exposing your personality will let the editor or hiring manager see you’re fun to work with and enjoyable to be around. Pro Tip: Should you make a creative photographer resume, like printing it on a self-portrait? No. Save the art for your portfolio and keep your photography resume professional. What’s the Most Important Resume Contact Info on the Planet? Want to dodge a rookie blunder? Add the right contact info to your photographer resume. A “professional” email address means no AwesomeKayakerDude2349874@yahoo.com. But don’t crop out a link to your portfolio. Examples of your work will impress clients and hiring managers most. Add a LinkedIn address too. These days, 87% of recruiters hire from LinkedIn. Promote your skills and experience in social media marketing, web, and print marketing. Most importantly, put a link to your online portfolio in your resume. Make sure the portfolio is well-polished, because it’s the true showcase of your work. Pro Tip: Your LinkedIn profile is as important as the rule of odds. Make sure it’s great before the link goes on your photographer resume. Use our guide to creating the perfect LinkedIn profile. Start with a photography resume summary that puts your best achievements in focus. Fit the job description. That means finding out what skills they need. Then revealing measurable accomplishments that match. Add other sections that prove your photography skills. Include professional associations, contests, publications, and certifications. You need a cover letter like you need a camera body. Make yours personal by showing how you’ll meet the hiring manager’s specific needs. Do you have questions on how to write a great resume for a photographer? Not sure how to describe your skills or achievements? Give us a shout in the comments! We’d be happy to reply.